Recently, I received a package from my local power company - Alleghany Energy. The package contained two 13-watt carbon fluorescent lamps (CFLs). 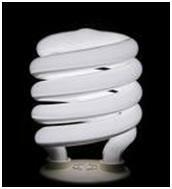 In the Unites States, various organizations are trying to encourage people to replace their incandescent light bulbs with CFLs to save energy. In fact, recent U.S. legislation will effectively prevent the sale of incandescent bulbs after the year 2014 (unless the bulbs somehow become a lot more efficient by then). Since the package didn't come with an invoice inside, I assumed my power company was giving away free bulbs. After all, Home Depot gave away 1 million bulbs during last year's Earth Day, so why shouldn't my utility company give away a few, too? It was quite a shock to Alleghany's customers when we found out we were being charged almost $12 for these two bulbs as part of the "Maryland Compact Fluorescent Light Energy Efficiency Program". Outrage ensued. The outrage wasn't so much over the cost of the bulbs as it was about unmet expectations. We expected free bulbs because we weren't told about the cost. Alleghany Energy was either being sneaky, or was incompetent at communicating with their customers. If the power company was upfront about their plans, the story might have a different ending. Instead, there were rumblings about class action lawsuits and legal charges for unsolicited merchandise. In the end, the power company decided to refund all charges and eat the 2.5 million dollars it cost to send light bulbs to 220,000 customers. Moral of the story – communicate with the customer. This is why contemporary software development processes like Agile and XP have such a focus on customer communication. Unmet expectations make for angry customers and bad business.